Twins Ashley and Emily get married a few months apart... with totally different styles! 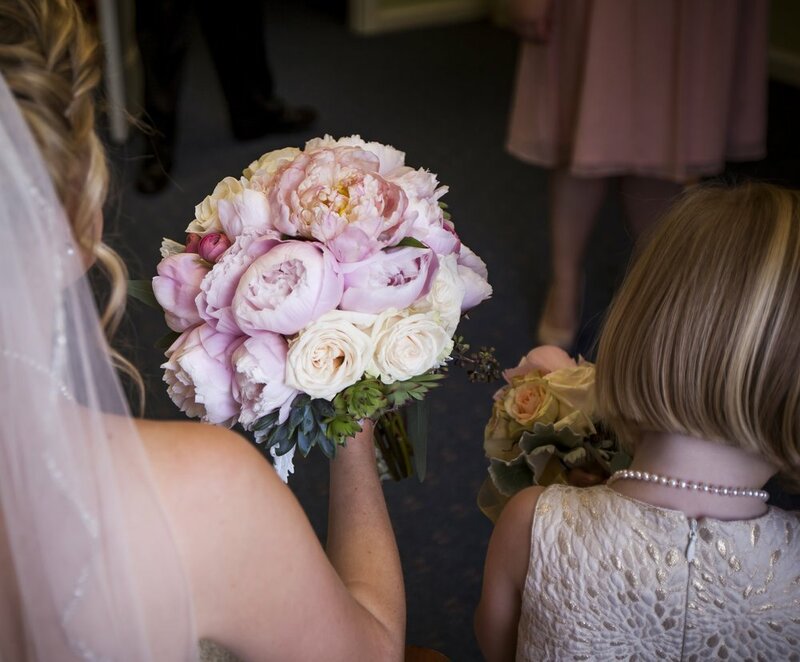 Emily chose subtle romantic tones and textures with soft pink peonies, creamy garden roses and spring ranunculus. Her bridesmaids wore soft rose chiffon cocktail length dresses, perfect for spring. Ashley, was all about the "Bling". 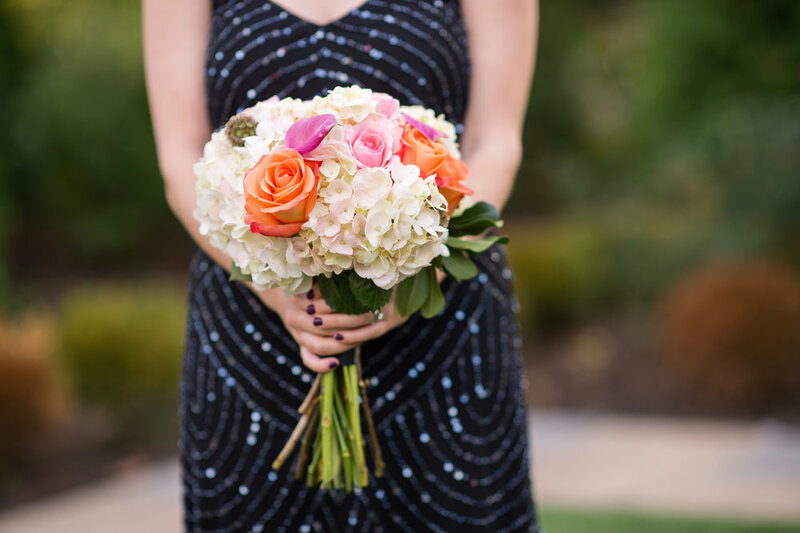 She chose a big sparkly venue and elegant but colorful florals. 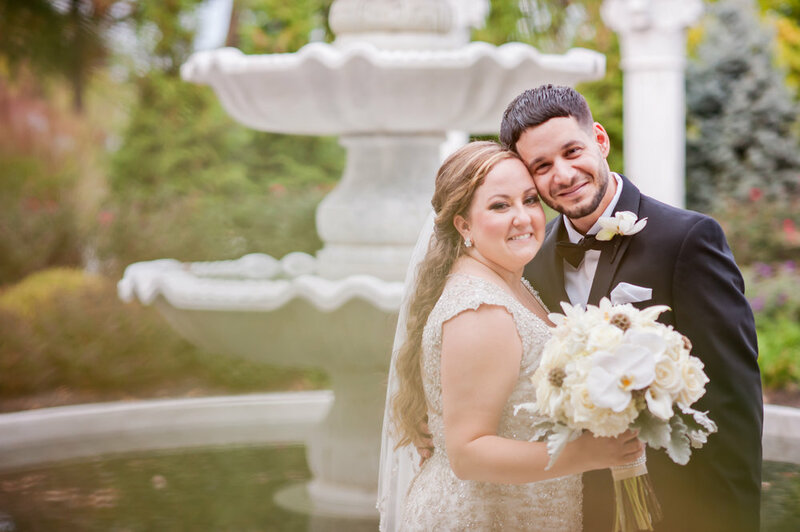 Her bouquet featured creamy hydrangea, roses , touches of phalenopsis orchids with sparkle and golden scabiosa pods, her stems were wrapped in sparkly bling wrap! 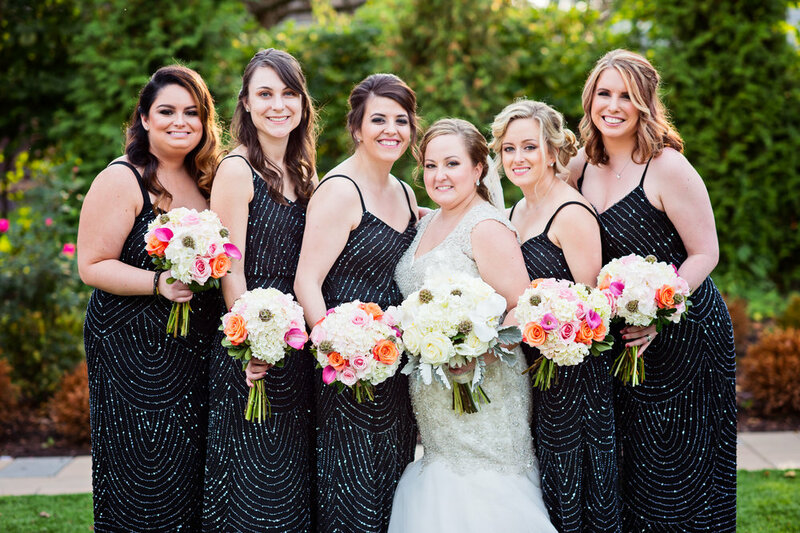 Ashley's bridesmaids wore navy full length gowns that had crystal accents and carried bright pink orange and cream bouquets. Her tables carried over the colorful theme. Subtle and soft for Emily and bold and Bling for Ashley! November Wedding in Philly : Margaret and Jake have a super cool organic and green wedding just as winter sets in.... Front and Palmer was transformed into a lush haven of greenery and gold textiles with blossoms in cream and blush... the 9' linear floral/greenery chandelier, all set a light with warm candlelight. So many exceptional touches , a truly personal event. It’s August and it’s hot, but there is something that makes the lower reflecting pool at winterthur estate in delaware cool and comfortable in the peak of summer. Perhaps it’s the shade from the ancient trees and bushes, maybe its all the stone from the walls and patio. Either way, the space was the perfect backdrop for our boho inspired arbor and ceremony urns. 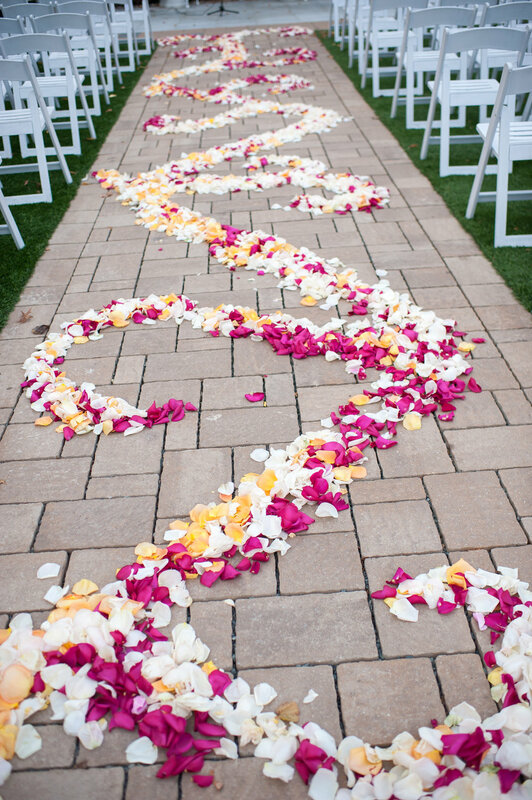 Megan’s color palette helped us create a ceremony that was full of fresh color and texture. WE LOVEd the way this turned out!! !